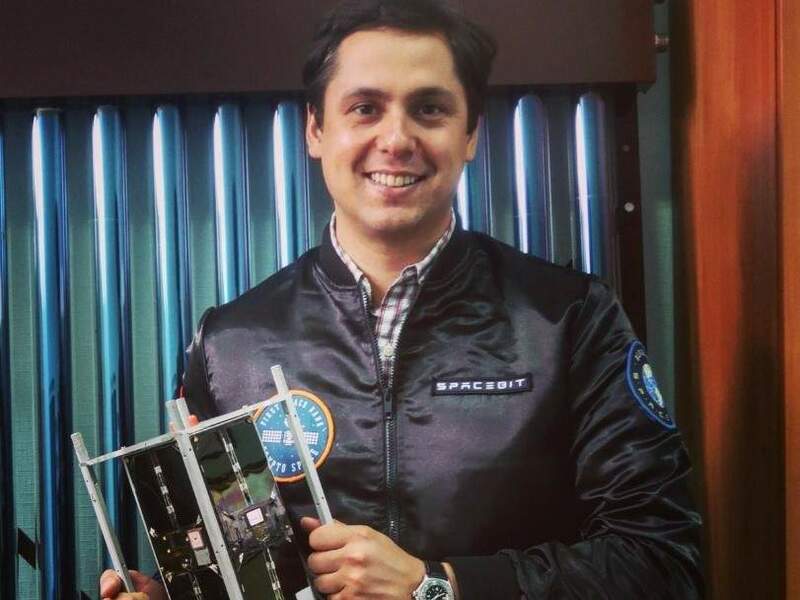 Pavlo Tanasyuk, founder of Spacebit, holding a 'CubeSat'. Spacebit has announced plans to launch a decentralised and democratised platform to fund space exploration, using blockchain and cryptocurrency technology. Plans for an initial coin offering have been announced at the World Economic Forum in Davos, with a Spacebit Token sale initially open to qualified investors, before going public at a yet-to-be-confirmed date. The Spacebit Foundation launched five years ago with the ultimate goal of democratising space exploration, “unshackled by state or national sponsorship”. It plans to do this by launching its own cryptocurrency, allowing anyone to fund projects and participate in humanity’s future across the universe. “The future of space exploration is currently reliant on Governments and commercial investors,” said Pavlo Tanasyuk, founder of Spacebit. So far it has gained support from experts across science and finance, as well as industry leaders, public figures and ex-cosmonauts such as Anatoly Artsebarsky, a co-founder and technical advisor for Spacebit. In October 2017 Spacebit signed an agreement with the Kiev Polytechnic Institute, securing cooperation on satellites PolyITAN 3, 4, and 5. The foundation has also shown interest in ‘CubeSats’ – a small, low-cost, cube-shaped satellite. It has since announced that its goal is to launch a satellite of its own within the next year. The space platform will function as a Decentralised Autonomous Organisation (DAO), an ecosystem in which the public can choose and support space exploration projects–essentially a community-led crowdfunding platform. Spacebit has ambitions to one day investigate lunar lava caves, put a telescope on the dark side of the Moon and have a lunar-orbiting satellite relay the data back to Earth. The platform and host website will officially launch at 22:30 CET, 24 January 2018, at an event at the HubCulture pavilion, Davos.